Shopping for someone else but not sure what to give them? 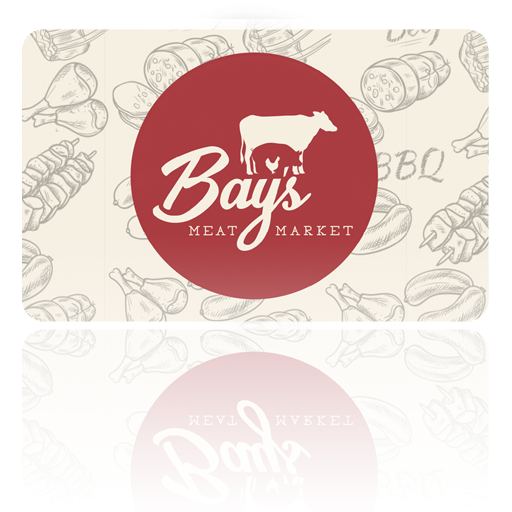 Give them the gift of choice with a Bay’s Meat Market Gift Card. Gift cards are delivered by email and do not expire. Your recipient must use the code included with the card and apply it during checkout.